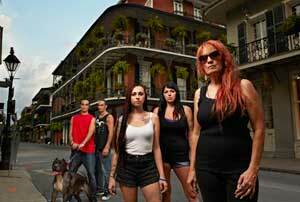 Help Your Dog Deal with Heat and Scary Crowds in New Orleans! Remember that the concrete and asphalt will be hot on your dog's pads, too. "Their pads are just as sensitive as your feet," said Sybil Soukup, executive director of the Humane Society of North Iowa. Hot concrete/asphalt can burn your dog's pads. GOOD REASON TO RENT FROM BUDGET: - From the Budget Website: "Housebroken pets are invited to travel in your rental car, just as they do in your personal car. Although Budget doesn't assess an extra fee for pets, pet owners will incur an additional charge for any damage caused by animals, or any special cleaning required as a result of shedding or accidents." 1. Feed and Water Your Pet Before Departure -- The U.S. Department of Agriculture mandates that pets traveling on airlines must be fed and watered within four hours of the flight's scheduled departure [source: Airlines.org]. You'll be asked to sign a waiver that certifies your pet has been given food and water when you check in for your flight. Be early. Travel Long Distances by Car ! 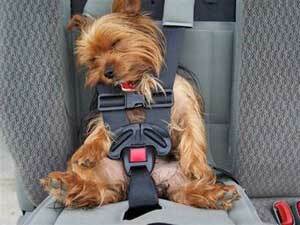 It is important that you prepare your pet to travel in your car in advance. If your pet hasn't travelled in a car before, then make sure you take small trips with your pet to the nearby market or park. 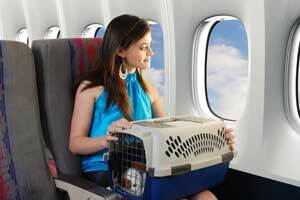 Most pets will be just fine, but some may suffer from motion sickness or anxiety. Also you should consider getting a crate for your pet. They will be more secure in a crate.